With a major shortage of skilled resources in today’s cybersecurity market, more and more organizations are opting to outsource key security monitoring services to a managed security service provider (MSSP). Whether for log management, managed detection and response (MDR), SIEM-as-a-service, or compliance management, organizations large and small are turning to MSSPs to deliver these solutions quickly and cost-effectively. Thousands of customers worldwide trust AT&T Cybersecurity MSSP partners to meet their security monitoring and compliance needs. Let us help you find the right MSSP to be an extension to your IT team. In a recent SANS survey, 47% of respondents indicated that a lack of trained security staff and skills were the biggest challenges when it came to threat intelligence and detection / SIEM initiatives. What does a typical MSSP customer look like? Many organizations look to MSSPs to provide their security monitoring because they do not have the security expertise or staff in-house. Building and maintaining a security monitoring infrastructure is often complex, time consuming, and requires qualified staff to assess and respond. Organizations with limited staff look to MSSPs to provide this infrastructure as a service instead of hiring in-house expertise. Many organizations do not have the in-house expertise to adequately monitor their infrastructure for threats on a regular basis. Although tools like AlienVault USM help, having the expertise to understand the threats, separate real threats from false positives, and tune the security monitoring tools as the infrastructure and threat landscape change is a value-add that MSSPs can provide. The MSSP’s security expertise becomes an extension to the customer’s existing IT security team. Not every organization has a simple, easy to monitor infrastructure. For example, organizations that require custom security deployments, either due to overly complex or expansive architecture, or very specific implementations with disparate systems can benefit greatly from the services provided by an MSSP. Organizations that rely on dynamic resource allocation (for example, compute instances being generated and terminated continuously for content delivery) and require a considerable amount of automation to effectively monitor their ever-changing environments can benefit from the expertise provided by an MSSP. Are you considering deploying a SIEM? Do you already have a SIEM, but find it difficult to get useful, actionable data out of it? Are you constrained by time, resources, or budget? Do you need to fill a skills gap on your security team? Are you struggling to hire or retain top IT talent with security incident response expertise? Many organizations struggle to keep up with today’s rapidly evolving threat cycle. This is especially true for IT teams that are constrained by time, budget, or resources and simply do not have the capacity to constantly scour the global threat landscape for the latest attacks. An AT&T Cybersecurity MSSP can provide a cost-effective and reliable way to protect your critical IT infrastructure against emerging threats. In addition to their own security research, AT&T Cybersecurity MSSPs continuously receive the latest threat intelligence from the AT&T Alien Labs security research team. This team constantly analyzes and validates the latest threat data, including the community-sourced, global threat data from the AT&T Alien Labs Open Threat Exchange® (OTX™). So, working with an AT&T Cybersecurity MSSP gives you multiple layers of threat intelligence. The AT&T Cybersecurity network of certified MSSPs leverage the power of our award-winning AlienVault Unified Security Management® (USM) platform for comprehensive security monitoring and compliance management across cloud and on-premise environments. 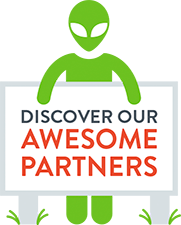 AlienVault USM combines asset discovery, vulnerability assessment, intrusion detection, incident response, SIEM, and log management in a single pane of glass for simple, affordable, and effective management.  When you work with a Certified AT&T Cybersecurity MSSP, you share in the benefits and cost-savings of a unified solution that delivers powerful threat detection, incident response, and compliance management capabilities for all of your critical environments. Whether you outsource 100% of your security monitoring to your MSSP or co-manage with your MSSP, it’s important to know that AlienVault USM is fast to deploy, easy to use, highly extensible, and readily scalable to support your growing business. Understand your organization and your needs. Why are you looking for a managed security service provider? Does your team have the skills they need? Do they have the time they need? Do they have the tools they need? Understanding your organization and your needs will help you determine what you need from a managed security service provider. Understand the services provided by prospective MSSPs. Different MSSPs provide different services designed to help you protect your organization and augment your existing IT and security teams. Understanding what services MSSPs offer will allow you to identify the right MSSP for you to partner with for your security as a service needs. Understand the skills and expertise of the MSSP. Think of the MSSP as an extension to your team. Would you hire someone who can’t fill a gap and meet your needs? Of course not. Partner with an MSSP that has the security knowledge, skills, and ability to effectively monitor your environment and help you identify and respond to threats. Determine what MSSP is best for you. Evaluate each provider to determine if their services, skills, and expertise meet your needs. 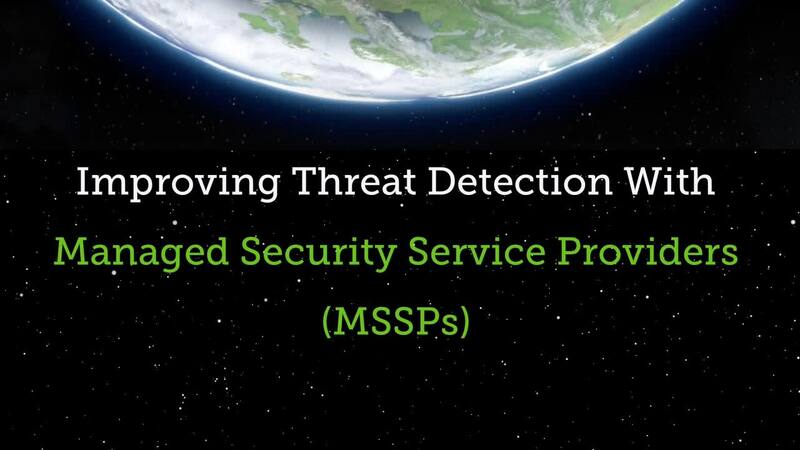 In some cases, the MSSP will provide full service security monitoring. In other cases, the MSSP will help augment your existing team. Align your needs appropriately to get the value you expect. Need help choosing an MSSP?